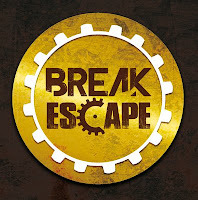 There’s often a debate amongst enthusiasts about the best horror escape games not just in the East Midlands but the UK as a whole and Nerve Klinik at Break Escape in Leciestershire is a room that often comes up in those conversations. Feeling brave, we made the trip to Loughborough to be met by our delightful games master Ellie. Despite our earlier jitters, Ellie’s friendly and unassuming demeanour naively allowed us to relax a little as she endearingly explained Nerve Klinik's very clever pre-game briefing. ...Let’s just say Ellie possesses an entirely unexpected darker side than her petit, charismatic charm initially alludes! Our friend Sarah had been looking into a way of making quick money and decided to take part in an experiment for a new drug at Dr Greuber’s clinic. Since Sarah left we haven’t heard from her so decided to head to the clinic to check that everything is okay. Upon entering it’s very clear Dr Greuber doesn’t run a normal clinic. He doesn’t appreciate unwanted visits and is said to have laid traps around his workplace to gas potential victims if they aren’t clever and brave enough to escape in 60 minutes! Apprehensively entering Nerve Klinik's dingy clinical environment immediately immerses you into Dr Greuber’s seedy world. With plenty of fittingly gruesome props and trinkets to explore. We did so reluctantly, always consciously mindful of who or what we’d find or trigger. There was also a couple of ingenious environmental additions that did well to subtlety amp it’s scare factor - one we’ve surprisingly never come across in any escape room before and was suitably impressed by its simple but extremely effective inclusion. 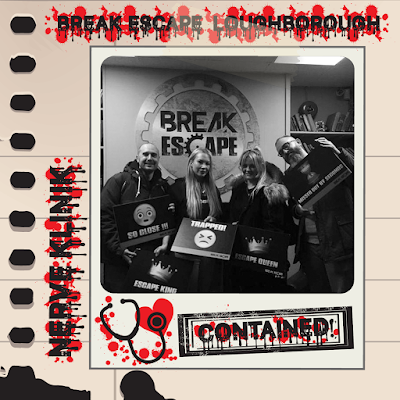 The puzzles were an excellent balance of multi-layered and linear, allowing us to separate slightly in our nervous search for resolves whilst naturally pulling us together during the rooms more pivotal, stand-out moments. The puzzles were provided at a pleasingly sequential pace, meaning that your need for clues here should be at a minimum, retaining your teams sense of achievement as you progress anxiously throughout the creepy space. That being said, the possible lack of a need for clues won’t hamper this rooms occasionally brutal vocal interactions! Offering possibly the strongest and best implemented auditory communication of any escape game we’ve ever played. In addition to this, the room also boasts a further unique clue system that really couldn't have been any more suited to its sinister environment. Without giving too much away, the live actor additions along with our occasional reluctant “forced” participation was so perfectly timed and implemented that it often resulted in us whimpering in the corner, pondering whenever our quest to find our mate Sarah was actually worth the rooms pulse raising, psychological warfare! Removing its felicitous jumps and jangles, you’ll still find a robust, solid escape game here - an aspect we’ve found to be noticeably absent from its horror escape competitors. Between its well-timed frights and live interactions we were pleasantly surprised to find an excellent array of challenging, theme appropriate puzzles; providing a multitude of testing logical and mildly physical tasks that we’d be happy to discover within the walls of any escape game. Aided further by the inclusion of Ellie, our outstanding games master whom undoubtedly attributed to our positively terrifying time at Break Escape. Our diagnosis? 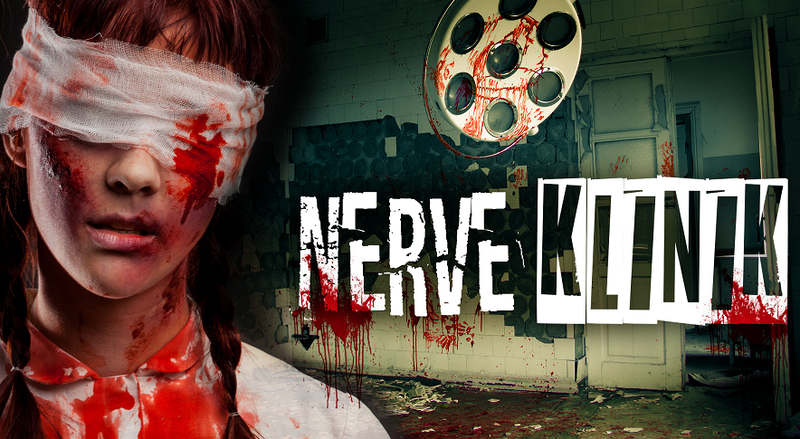 Nerve Klinik is one of the few nerve-jangling games that lives up to the horror escape room hype. With its equally generous dose of challenging puzzles, it nurses far stronger symptoms than the generic, over-the-counter scare experiences we’ve previously been prescribed.